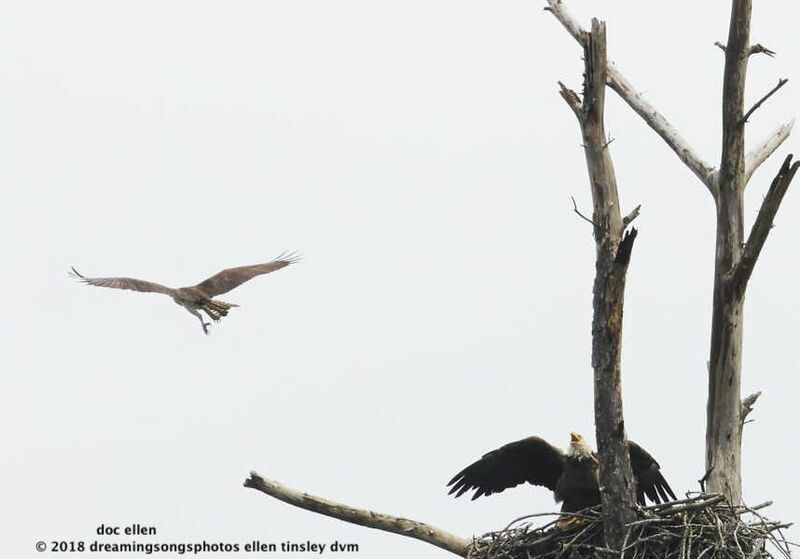 Since the eaglets have fledged from the Ranger bald eagle nest, the ospreys have been playing “king-of-the-eagle nest”. That is until Mom Ranger stopped by to make sure the neighborhood ospreys remembered the nest was hers! Posted in birds, eagle families of Jordan Lake, Eagles of Jordan Lake, Jordan Lake, Jordan Lake State Park, ospreys of Jordan Lake, photography, raptors, wild birds and tagged as American bald eagle, bald eagle, bald eagle nest, bald eagle parent, bald eagles of Jordan Lake, eagle, eagles of Jordan Lake, Jordan Lake, Jordan Lake State Park, osprey, osprey flight, ospreys of Jordan Lake, Ranger Nest, raptor.